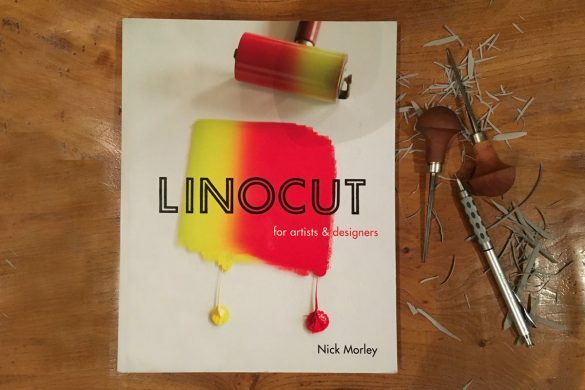 More and more I’m asked about the lino printing paper I use when printing my linocuts. 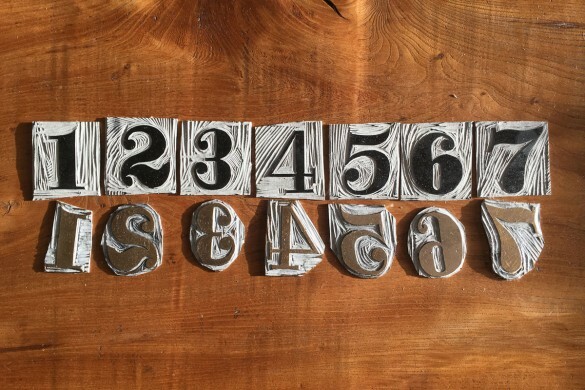 In this blog I’ll write about the preferred paper stocks I use and why, as well as some more general information that you may or may not find useful when selecting paper stock for your own lino print artwork. It’s worth mentioning that the type of paper I love to use, you might hate. It’s a very personal preference and I find that by-and-large everyone has their own favourite. 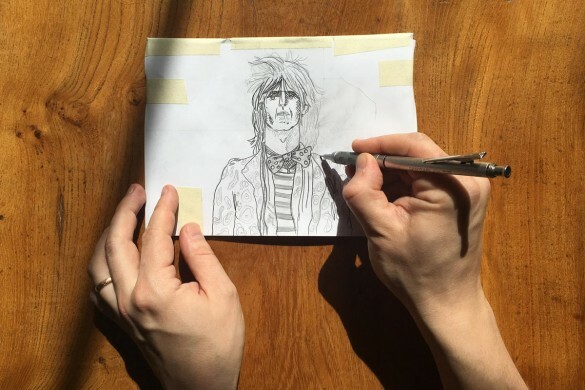 I really like to buy random sheets of paper every now and then to experiment with, which means that this blog post will probably grow in length as I try more and more different types. One thing I would recommend is that you purchase archival paper. This is acid free paper that will stand up to the tests of time without yellowing or wrinkling up like some non-archive paper does. This is especially worth remembering if you want to sell your prints, as you don’t want unhappy customers complaining about the beautiful print they bought off you looking like a knackered old piece of news print within a few months. 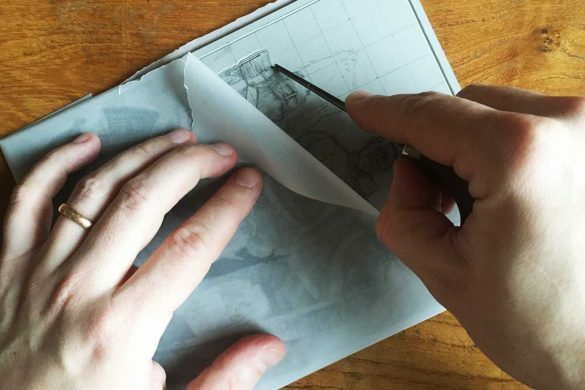 The first choice you’ll want to consider is the texture of the paper you want to use. 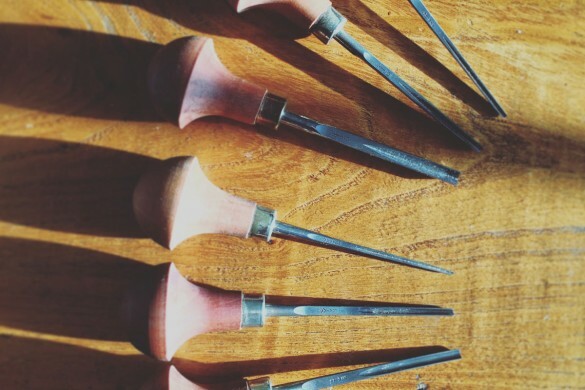 Some artists prefer a very smooth lino printing paper and others (like me) like to use a paper stock that has a slight texture to it that I find you get more often with hand made paper and mould-made paper. 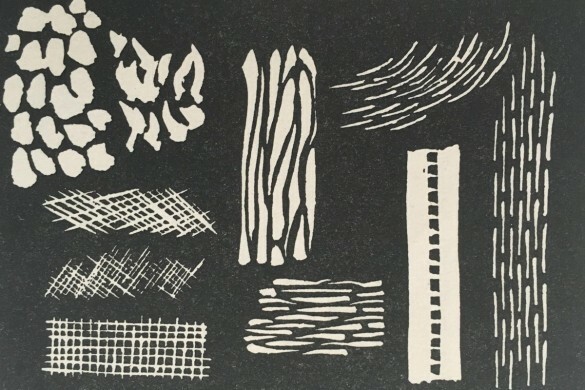 Handmade Paper can be very textured, in my humble opinion it can be a bit too textured for the purpose of printing a linocut. 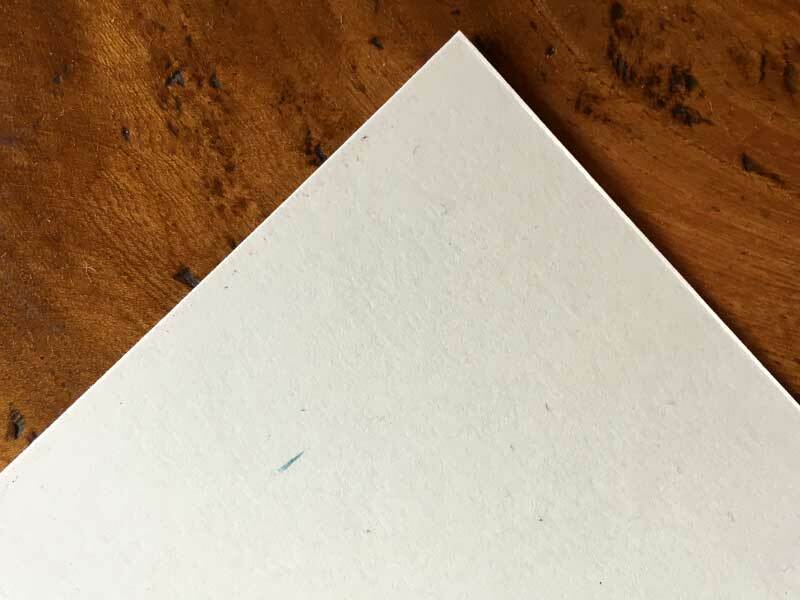 The fibres and flecks within handmade paper make the surface quite rough and this causes problems when trying to get a consistent/solid impression of your inked linocut onto the surface of the paper. The result is a print with a lot of inconsistencies. 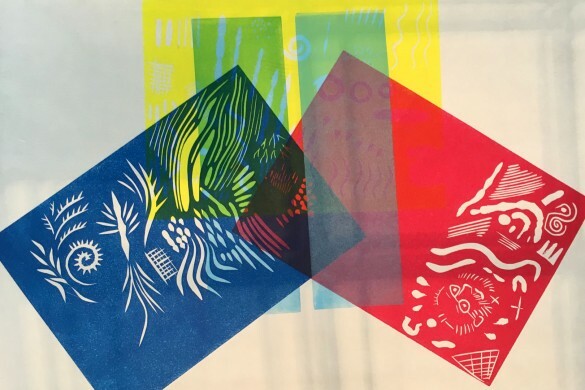 Areas of block colour will rarely print fully and details in your print can be lost. 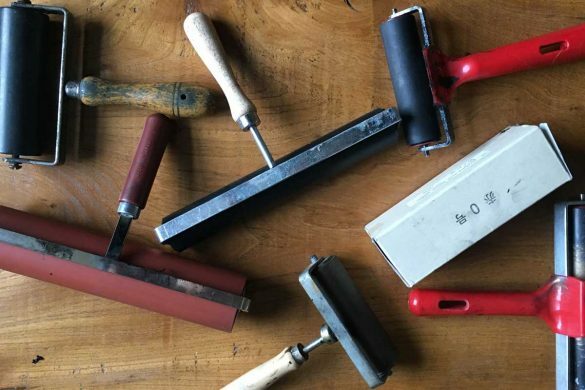 You can get a fairly decent finish by running it through an etching press with a lot of downward pressure exerted on the lino as it comes into contact with the paper but I’d personally not really recommend handmade papers. 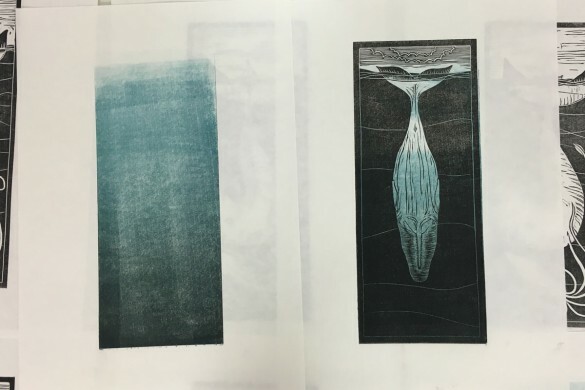 Most printmaking paper is mould made paper, and is characterised by a very nice consistent surface texture. Some mould made or machine made paper is super smooth, and others have a slight fibrous texture. 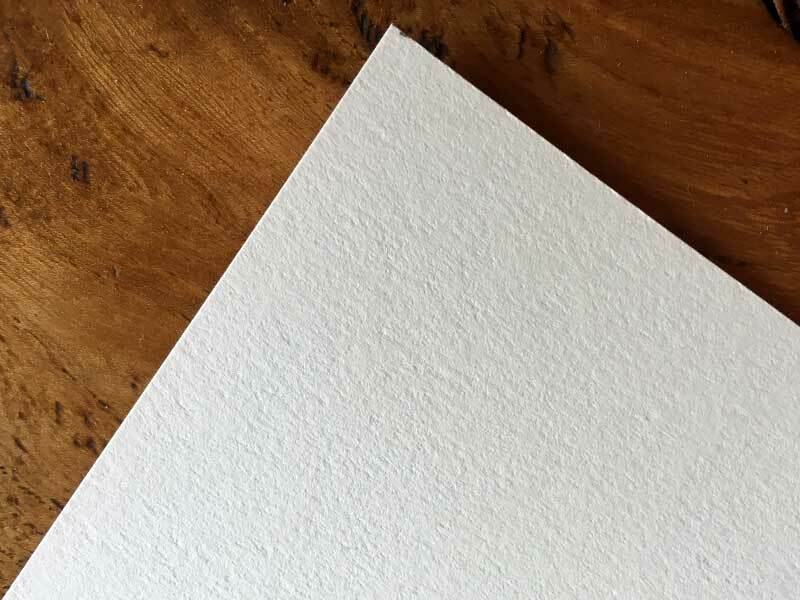 You can spot the difference between mould made paper and machine made paper very quickly by looking at the edges of the sheets. 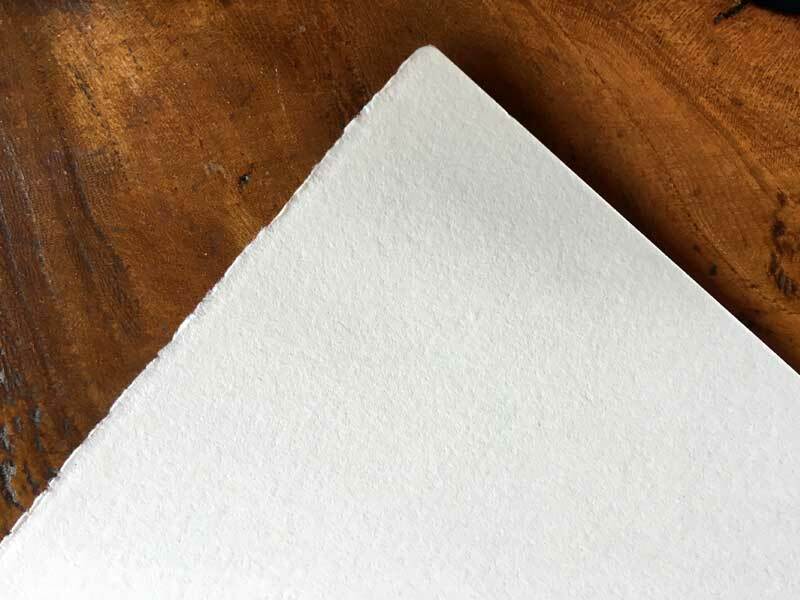 Mould made paper has an uneven ‘deckled’ edge and machine made paper has a really sharpe clean edge. Japanese paper is also definitely worth a mention and I highly recommend it. 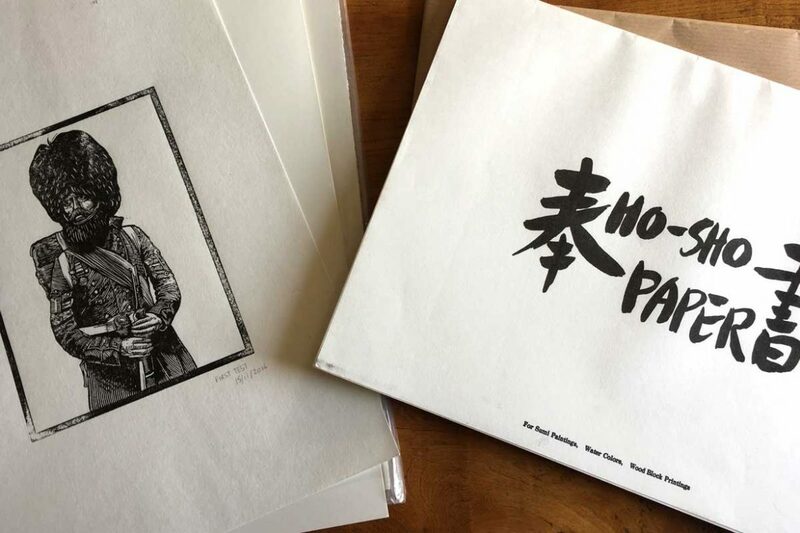 As masters of relief printing, through centuries of wood block printing, the Japanese know a thing or two about making great paper. 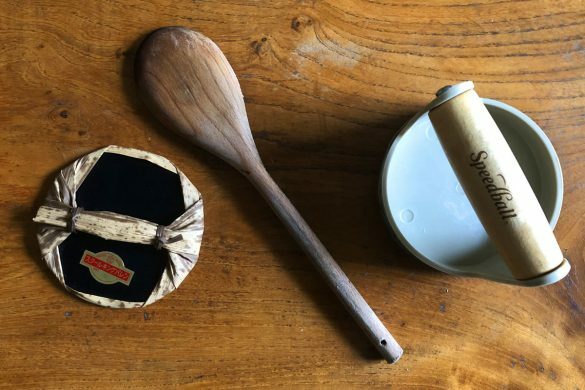 There are hand-made ‘washi’ papers you can buy but these are very expensive due to the fact that it’s sadly a craft that is not widely practised today. However, the machine made Japanese ‘Kozo’ papers are great so I encourage you to try them out. Currently this is my lino printing paper of choice. I use a 145gsm Zerkall Paper stock and I really like the level of smoothness and consistency it has for my prints. Whilst it’s nice and smooth, it also has a slight texture to it that I think adds a nice quality to the final print. 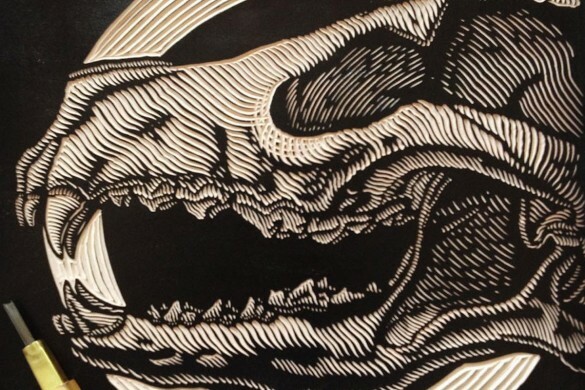 I like to work in a lot of detail into my linocuts and this paper really picks up the details that I want in my prints. Zerkall is a mould made paper, manufactured in Germany and from a mixture of cotton and wood pulp. Lots of people like Somerset papers so they’re worth a mention. They are super smooth and provide an excellent surface to print on, but due to the fact that they have virtually no imperfections at all I’m not personally really that excited about this paper. 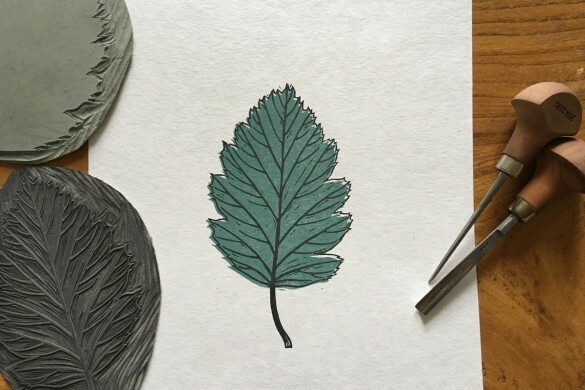 I think that the slightly fibrous papers just feel better and are better suited to a hand crafted piece of artwork like a linocut print. However, I want to give Somerset Satin a fair chance with you all. 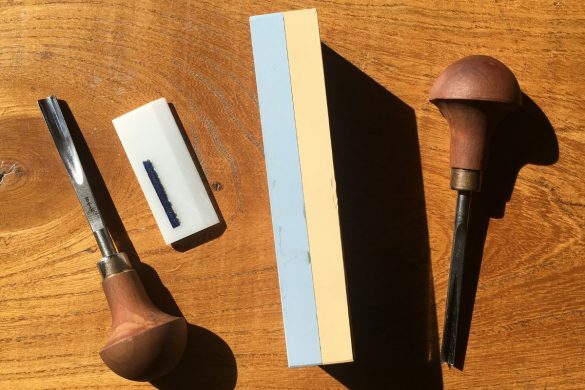 I would say that if you are printing at home and are using a trusty wooden spoon or a baren to print with, then you could do a lot worse that this paper. 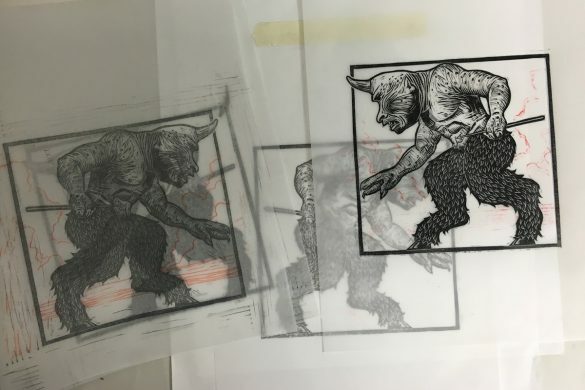 The smoothness means that it’s easier to create a uniform contact with the inked print, and thus simpler (and less back breaking) to get a really nice impression of your print. Somerset Velvet is pretty much the same as above, but it has a slightly more textured finish, so much like the Zerkall paper, this would be a choice worth trying out if you like a paper stock like I do. Thanks for this great info; very helpful, indeed! Interesting to see other people’s opinions on materials. It’s always good to try different papers and inks and helps when you’re not having to try them “blind” so to speak. 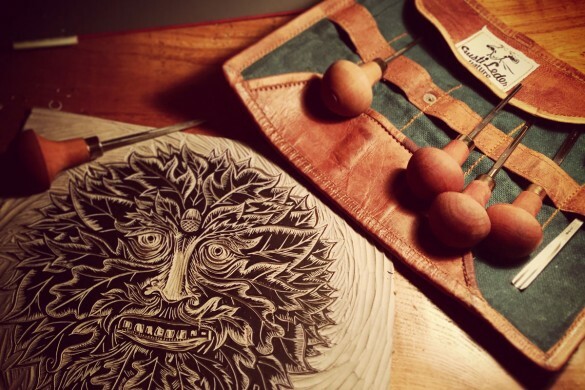 I’m fairly new to Linocutting and printing, so am always on the lookout for good advice. I’d give a nod to Masa paper here. 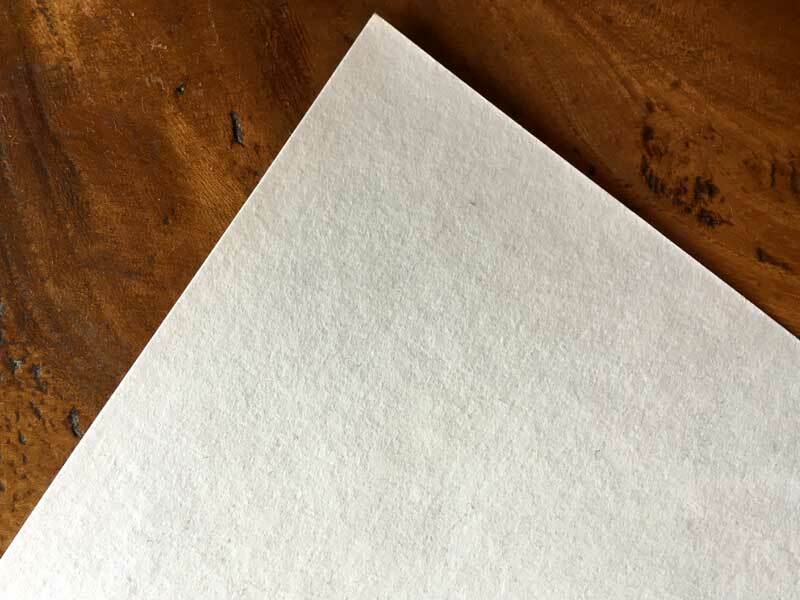 It’s a Japanese paper again, little like Hosho, but a smoother finish, good for hand burnishing. Perhaps a little too smooth for your liking as you say, but good to put out there. Thank you for the information. It was exactly what I needed!